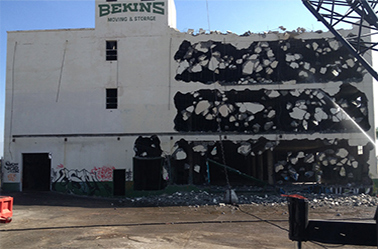 The structural demolition of a three story, 35,000 sf concrete building utilizing a wrecking ball. The scope also included the removal of over 5,000 sf of asbestos containing drywall, roofing, mastic, and floor tiles. UEI recycled 1,000 tons of asphalt and concrete from the project.